For his first solo exhibition in New York, the Icelandic artist Olafur Eliasson will present "your strange certainty still kept", a work that uses light and falling water as central elements and provides the viewer with the essential materials to generate a poetic perception. In "your strange certainty still kept". Eliasson creates a 'waterfall', or a mechanism of falling water. Suspended from the gallery's ceiling is a 'roof gutter', where the artist has punctured a row of tiny holes with a needle. Water falls down into a long basin on the ground from where it is pumped back up to the 'roof gutter'. 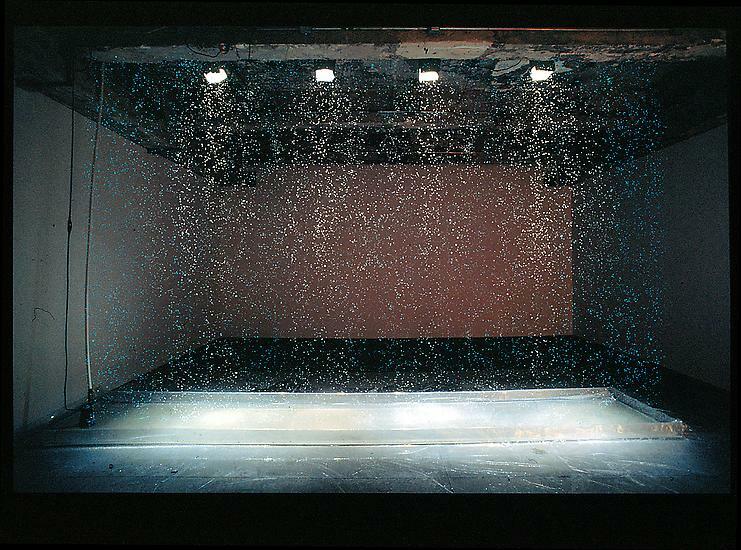 Positioned in the middle of the gallery this 'curtain' of falling drops can be observed from either side. The only light source is a powerful strobe light flashing so quickly that it becomes barely detectable. Cast onto the piece, the strobe light creates the optical illusion of suspending the water drips in midair. The Scandinavian references in the context of Eliasson's work can be traced to the use of light and water as source materials, and to the ideas of silence, contemplation, infinity and horizon. A light projection at eye level on a house in the suburbs of Copenhagen is titled "Expectations", and a real rainbow fabricated with sprinkled water and light was entitled "Beauty". 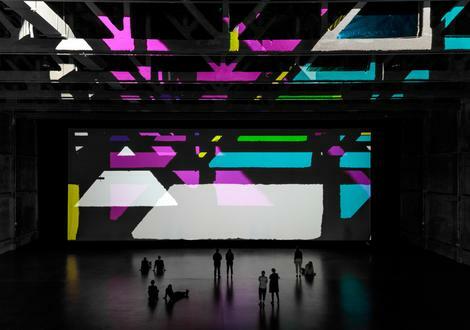 Eliasson continues to explore the Earth's infallible functioning and investigating technical processes of recreation of both natural or supernatural phenomena. Beyond formal constructions, Eliasson's interest lies in this sense of beauty, and his body of work is absorbed in lyricism. For all the technicality involved in this new piece, the cyclical process in a state of perpetual renewal becomes a highly romantic idea. For all the flashes of a strobe light producing high-intensity short-duration light pulses, the created illusion of 'frozen moments' - the idea of 'grabbing time' - is based on an intuitive and utopian feeling.